When Looking For Removal Companies In Rochdale you will undoubtedly come across Littleborough Removals; family owned and run removal company with the personal touch. Offering their first class service in the area, they have-for the last 13 years-succesfully moved hundreds of customers’ personal belongings effectively and safely in the North West and throughout the United Kingdom. If you are in Rochdale and our looking for removal companies, you shouldn’t hesitate to call Littleborough Removals. Having built up an enviable reputation for delivering tailrored removals that meet and exceed expectation, this family run company as amassed a large ‘loyal’ customer base who in-turn recommend their friends and family to Littleborough Removals. 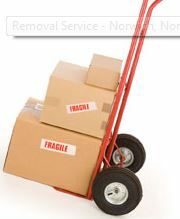 So, when looking for removal companies in Rochdale, it has to be Littleborough Removals. Alleviate the stress and let Littleborough put into action their comprehensive service that is prompt, friendly and reliable. With fixed rates-no waiting time-and fully insured, you know you are in the hands of accomplished professionals. They will help with all the planning and execution-supplying any materials you need to pack your home-so you can concentrate on moving home without the worry of how your possessions will be delivered. This entry was posted in Removal Companies and tagged Looking For Removal Companies In Rochdale, Rochdale Removal Companies. Bookmark the permalink.